The Canadian pair has just shared the collaborative songs "More Than Friends" and "Leaning"
PARTYNEXTDOOR and Tory Lanez have hardly taken a moment to breathe this year, with both Canadian busybodies releasing a steady string of new material in 2017. Now, though, they've treated their faithful to a pair of collaborative tracks. Today (November 3) PARTYNEXTDOOR and Lanez hit up SoundCloud with a pair of new songs: "More Than Friends" and "Leaning." 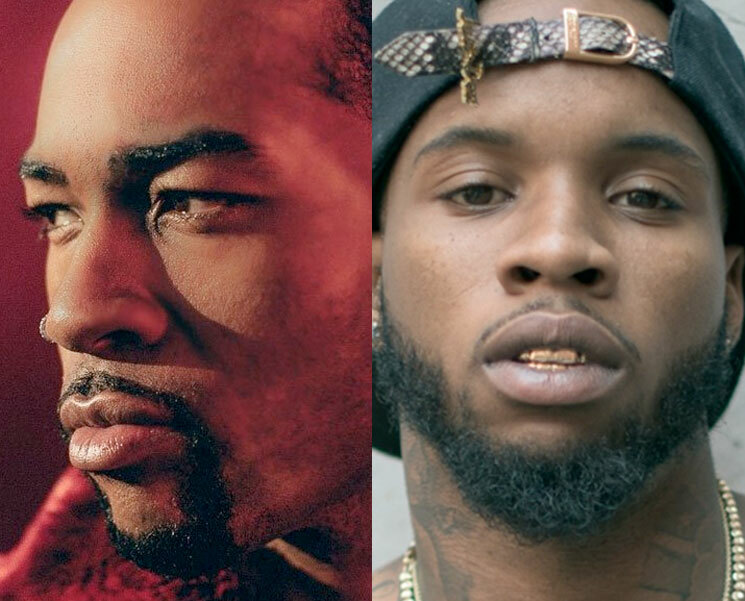 In both cases, PARTYNEXTDOOR takes the top billing with Lanez filling in the feature spot. That said, both songs definitely find the pair in full-on collaboration mode, as you can hear below. Most recently, PARTYNEXTDOOR gave us his Seven Days EP, while Lanez has worked towards his I Told You follow-up with a string of loosies. It's unclear if "More Than Friends" and "Leaning" will be part of a bigger project from the pair, but you can listen to them both right now below. ​Hear Lil Wayne Hop on PARTYNEXTDOOR and Quavo's "More"
Future and PARTYNEXTDOOR Team Up for "No Shame"
Stargate Link Up with 21 Savage and PARTYNEXTDOOR for "1Night"